Top smartphone cameras available in 2018 include the Google Pixel 2 XL, iPhone X, Galaxy S9, and the Huawei P20 Pro. Out of these devices, the P20 Pro by far has the highest megapixel count at 40MP. Although the number of pixels is only one of many characteristics of a camera, there are benefits from having higher resolutions to start with. Sony is continuing the megapixel race with the introduction of the IMX586 stacked CMOS sensor. At 48 megapixels, the latest imaging product achieves a pixel size of 0.8μm while the sensor itself measures just 8mm on the diagonal. When shooting in low light environments, Sony is able to trade resolution for improved brightness and sensitivity. The data from four adjacent pixels are added together, reducing the effective resolution to 12MP in order to provide less grainy and brighter photos. The IMX586 is able to capture true 4K video at 4096x2160 at up to 90 frames per second. At 1080p, the sensor is good for up to 240FPS. Dropping down all the way to 720p, up to 480FPS is possible. For still images, up to 30FPS can be captured although best results are still likely to arise from single shots. Even though Google, Apple, and Samsung have all turned to software post-processing to significantly enhance the image quality from their respective smartphone cameras, there will become a point where superior hardware is going to matter again. Specifically, digital zoom may become a relevant figure because cropping extremely high resolution images will still allow for high quality photos to be taken. Since smartphone cameras have become so good across the board, many consumers still may not care about the differences. 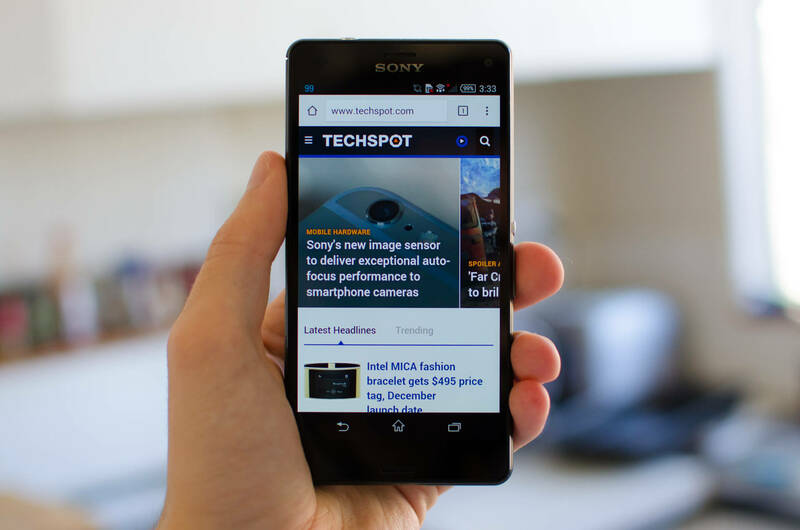 Sony is enabling the option for smartphone makers to build better devices. The first samples of the IMX586 will be available in September, so we know that none of the flagship devices due out this year are likely to use it. Also, since Sony has listed the sample price at the equivalent of $27, there is still plenty of room for OEMs to afford multi-camera setups on their ever more expensive flagships. Please Samsung... if you're listening... for the love of it all put three of these in your S10. One ultra-wide, one standard, and one 3 or 4x telephoto all with OIS and I will be a customer for life. Also, add a laser pointer; a green one. It's about time for laser pointers (with a button) to be present in our phones. Why is this not a thing already? Be the first to market, and then send me a check for the idea. A laser pointer? Probably because of heat issue.